Anyone who has a website has heard of Search Engine Optimisation (SEO) on some level or another. This is a process by which websites and other materials throughout the internet are optimised in order to produce more attention for a company online. This is done by improving the location of the website in the search engine. Google search engine optimization is among the most important forms of SEO. This SEO optimisation is focused on most because it is the most popular of the search engines. Additionally, whenever you practice website optimisation centred on the Google algorithm, you will do better with other search engines because they use a similar algorithm. The ranking that you have with the search engines will determine whether you are getting the traffic you need. First page ranking is highly important because it is generally the only page users will look at when performing a query. An effective Google search engine optimisation will create clout for the website by utilising keywords, images and videos. Creating content for the website is part of the website optimisation that will draw in more traffic. Another form of SEO optimisation includes all of the content and tools used throughout the internet to create links to the main website. This Google search engine optimisation allows your website to show up in a variety of searches. Smart SEO makes it a goal to provide every client with the best SEO optimisation. The goal is to make sure that the website shows up on the first page of search engine results. Using several SEO tools and techniques makes it possible to get the results you are looking for. Contact Smart SEO today to get started in making sure you have the Google search engine optimization that makes a difference. 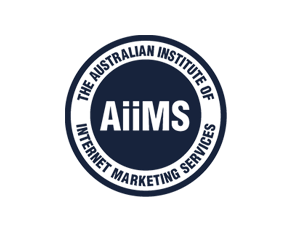 This entry was posted in SEO Tips and tagged first page rankings australia, Online Advertising Company, Results, Website Services. Bookmark the permalink.